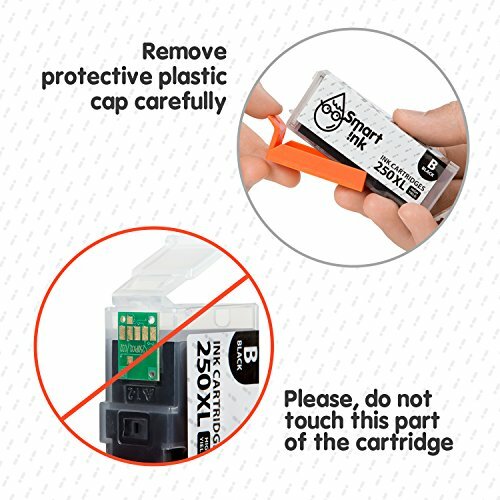 2-YEAR WARRANTY. 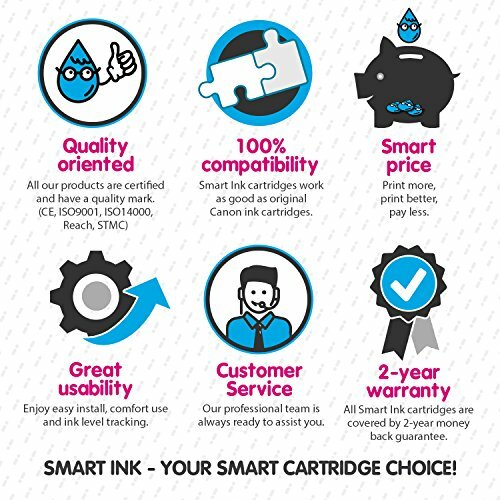 All Smart Ink cartridges come with a 2-year money back guarantee. 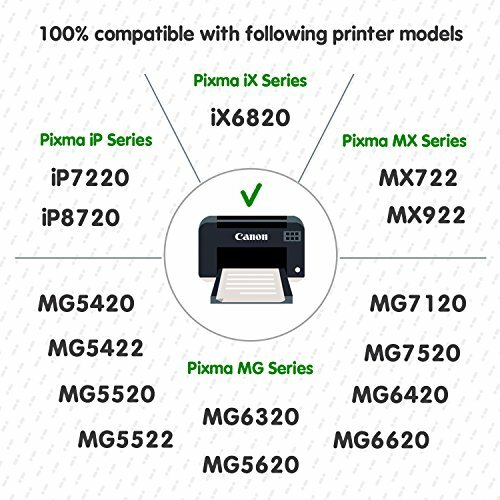 CERTIFIED QUALITY. 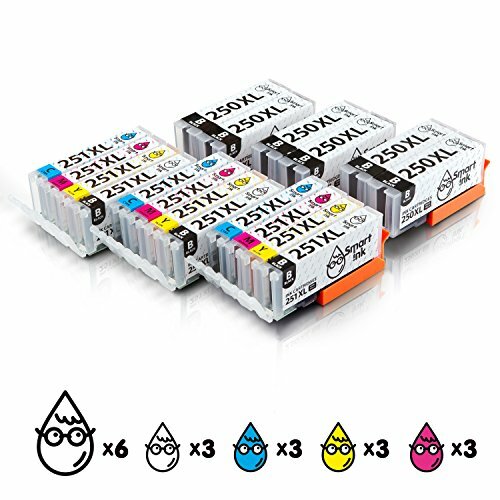 All our cartridges are certified and have a quality mark (CE, IS09001,IS 014000, Reach, STMC). 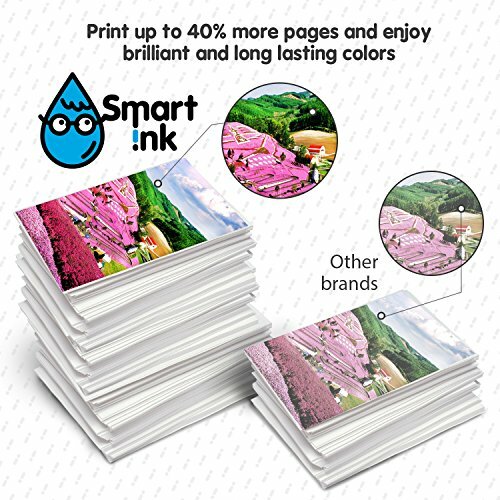 PRINTS 40% MORE PAGES as compared to standard cartridges. 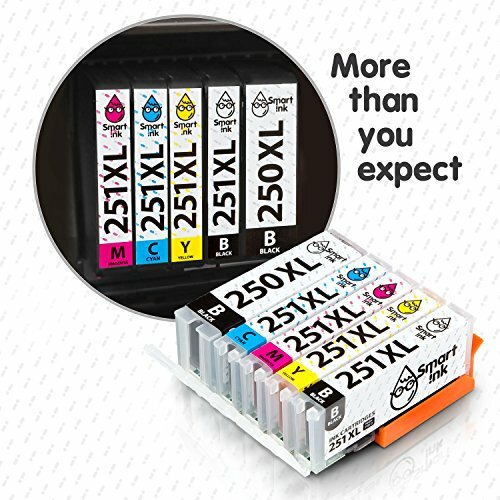 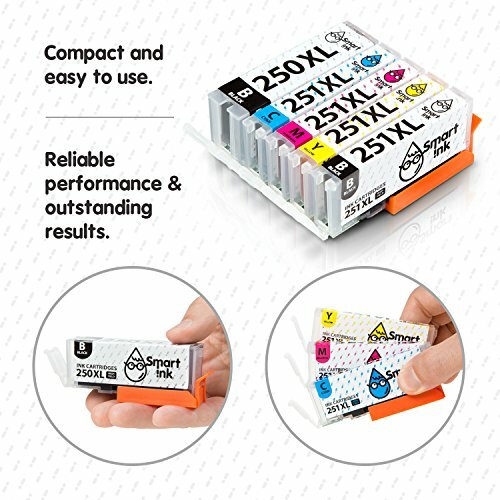 CLI-251XL Compatible Ink Cartridges offer you up to 350 pages printed by each color cartridge and PGI-250XL ink cartridge is able to produce 800 pages printed in black.